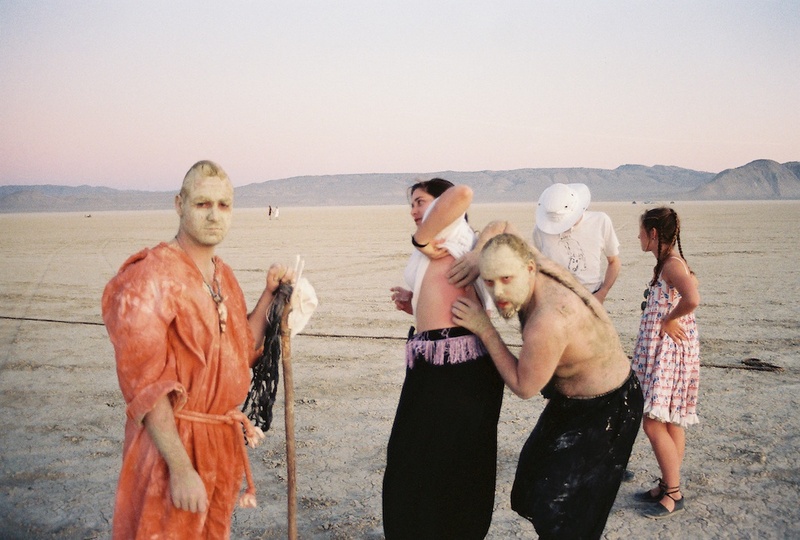 This is a visual history of Burning Man throughout the years, eventually leading up to present day. There's a real paucity of visual material out there documenting the early years, but I've done my best to find some photos that will give you a sense the change the event has experienced through the intervening time between then and now. 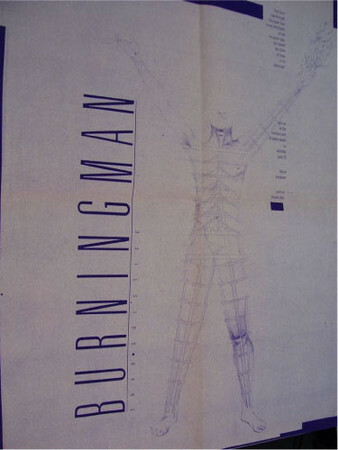 A BIG credit for help in this early years to the Burning Man organization's own official Timeline. It's a little lighter on photos, a little heavier on text, and it's from the horse's mouth, so to speak. The first Man, on Baker Beach. In 1986, Larry Harvey and Jerry James make a wooden Man out of scrap lumber in a basement in Noe Valley, San Francisco. They drag it down to Baker Beach with about ten other friends, douse it in gasoline, and light it on fire. 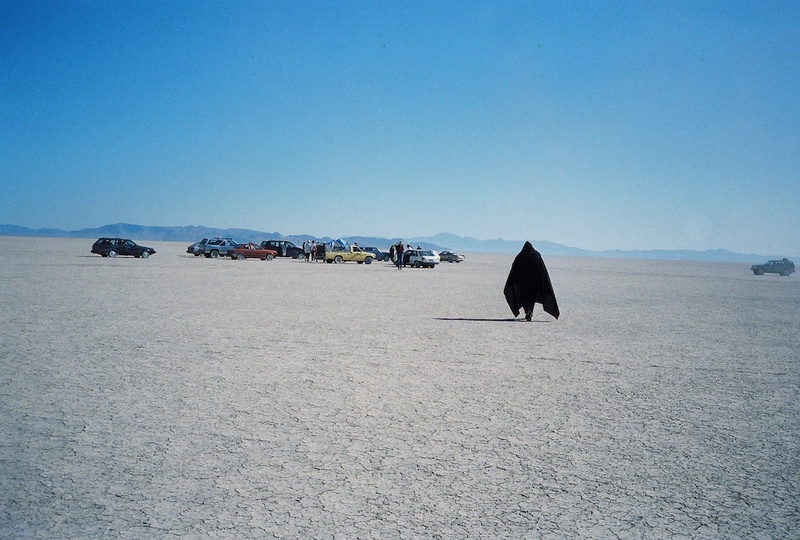 While the very first Man burns, the crowd of people triples from 12 to 35 or so, and a woman ran to stand at the Man's side and hold its hand while it's engulfed. 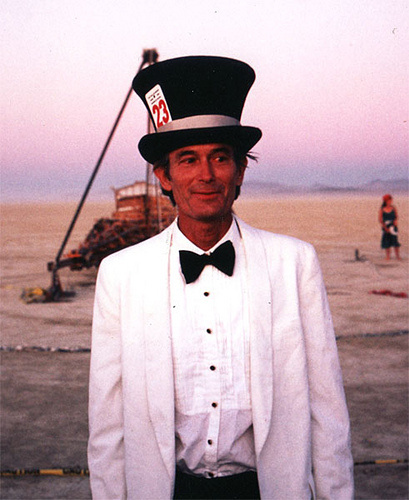 This was the very first spontaneous performance at what would come to be Burning Man. What the Man originally meant to Larry and Jerry is the subject of a little controversy. Joe Fenton, an early Black Rock Ranger, says, "I didn’t go to the burns on the beach, but I did a paper about them for a college course on the anthropology of festivals. Larry told me very specifically that the figure was an effigy of his ex-girlfriend, the mother of his son. He told me he wanted to burn her out of his memory. He moved off that soon afterward. I guess he figured it wasn’t very politically correct, and now that idea is actively suppressed." Larry disputes this, saying, "The idea that it was over a breakup—I actually made that observation once, to a reporter from Outside [“Black Rock Flambé,” September 1993]. That was not a conscious thought in my mind at the time. That was the result of introspection. But people like a simple story; it gets them off the hook. It’s over a love affair. Oh." 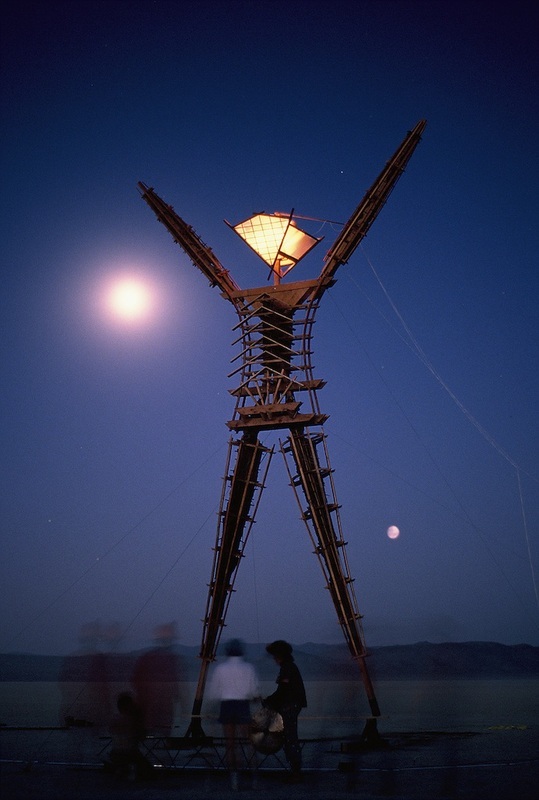 However, Flash, a Burning Man jack-of-all-trades, notes, "Of course it’s a woman! Look at the hips! It freaks people out when I tell them that, because they’re so serious about it now. They’re on their journey to the sacred. But what does it matter? The Man is what you need him to be." Larry and Jerry don't really remember when they decided to repeat their little event from the previous year, but at some point they did, and built a much taller Man this time, with help from girlfriends and friends. "The first one was like a family picnic," Jerry said. "And the second one was like a bigger family picnic." This one is clearly meant to be a man (though I don't think it's actually important one way or another), however you feel about the 1986 effigy. Now they were in. This had become something important to Larry and friends, and they started trying to attract an audience outside their immediate circle of friends. They made posters, flyers, t-shirts, and spent weekends building and promoting the Man. While Burning this Man, they also had their first run-in with the real Man (the police). After some negotiating, the police agreed to let them knock down the Man and finish burning it. 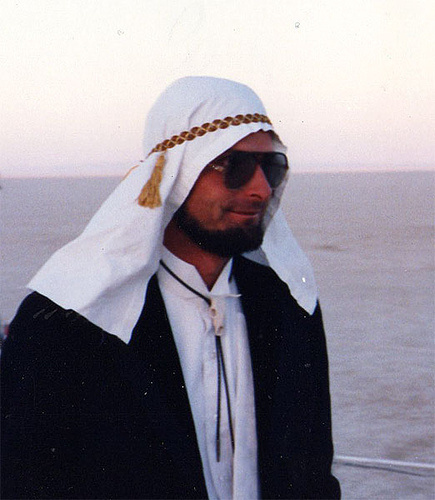 This was also the first year that Larry named it "Burning Man" and was the first year the Cacophony Society discovered it, which would be key in the event's future development. Footage of the raising of the Man in '88, as well as a somewhat amusing encounter with a baffled cop. 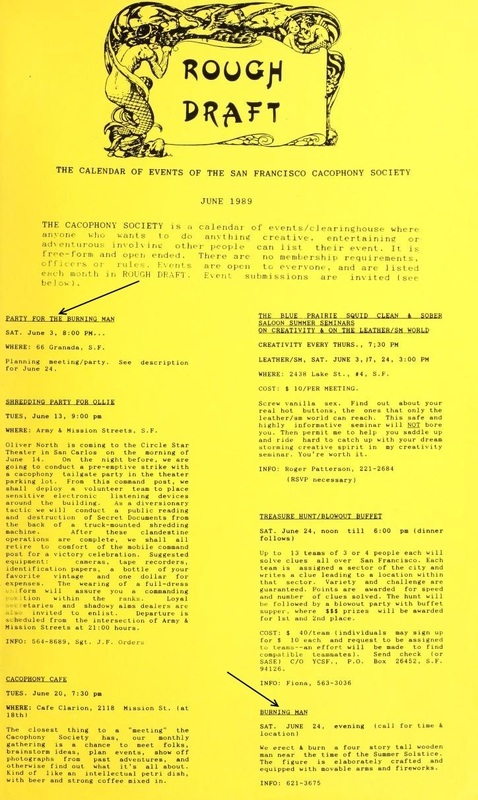 By now, Cacophony Society members had really become a part of things, and were announcing it in their monthly calendar of events (see below). During the erection of the Man (don't make the obvious joke!) on Baker Beach the legs and pelvis break, and the Man is burned while only semi-erect (no obvious jokes!). David Warren lights the Man by blowing a 15 foot stream of fire at it. Population : 800 at the beach. ~90 at Black Rock. 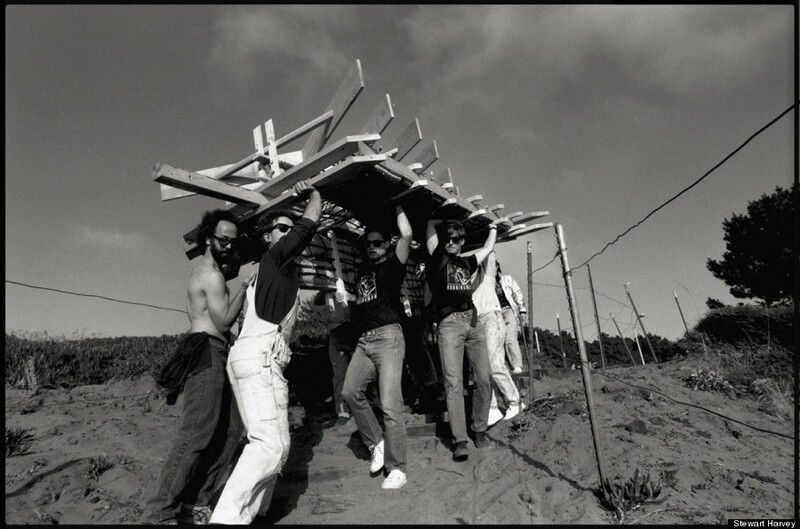 In 1990, as Larry and friends prepared the Man to burn on Baker Beach on Memorial Day weekend again, it turned out that it was on the Golden Gate Park Police's radar this year, and due to the potential fire hazard inherent in burning things in California in the summer, they dictated that the Man could be assembled but not burned. 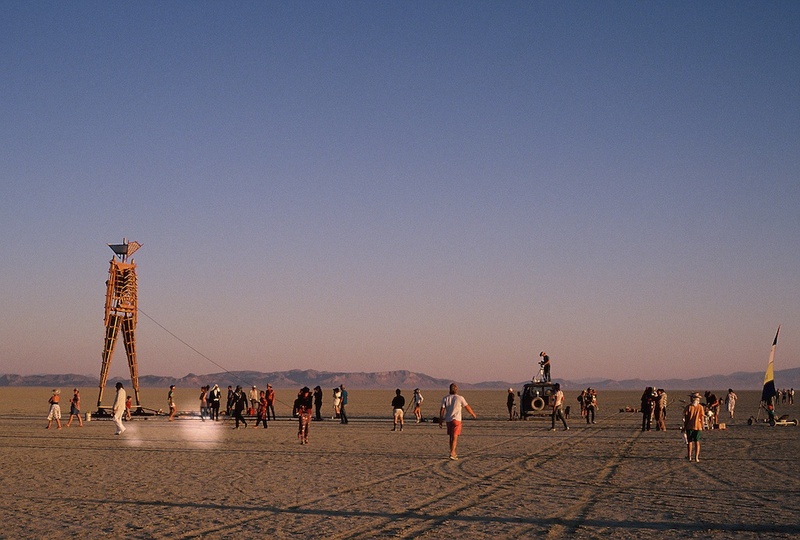 As it turned out, this was possibly the best thing that could have happened to Burning Man. 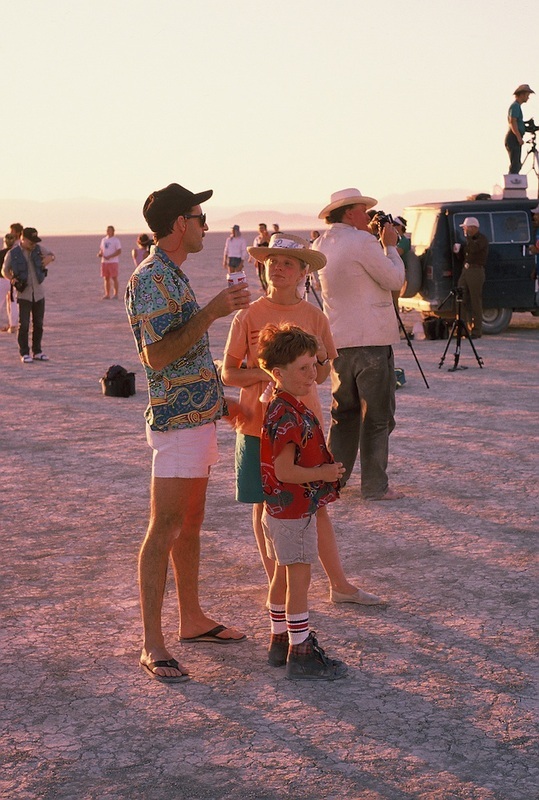 The year before, during Labor Day weekend 1989, a creative collective called Planet X had put on a wind sculpture event in the Black Rock Desert. 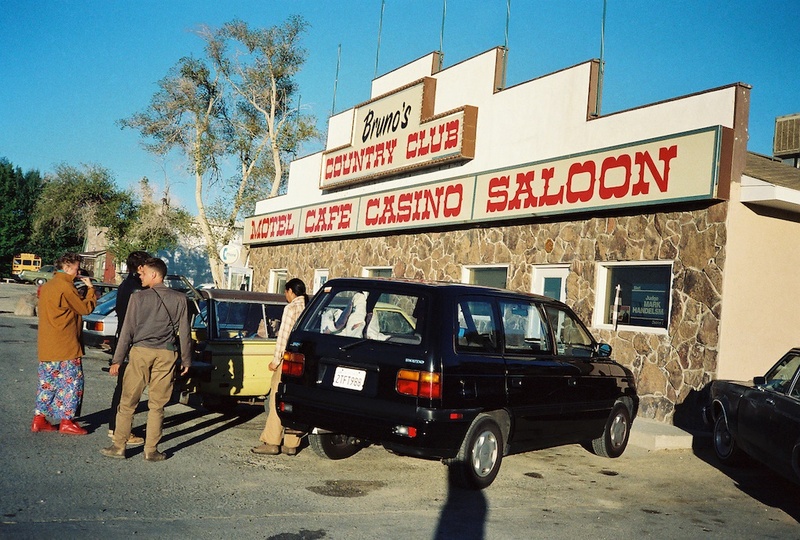 Kevin Evans, one of the Cacophony Society folks, had been there and when he came back he "rallied a few friends and schoolmates around the idea of planning a Labor Day weekend trip to the Black Rock Desert." It was to be a dadaist temporary autonomous zone, with sculpture to be burned and situationist perforamance art. He brought in John Law to help organize it. 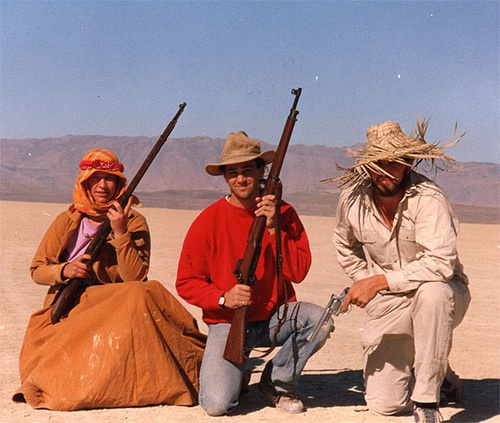 After the Man failed to be burned on Baker Beach, Evans and Law decided to invite the Man and Larry & crew along to their Black Rock desert trip in what was known as Zone Trip #4 for the Cacophony Society. 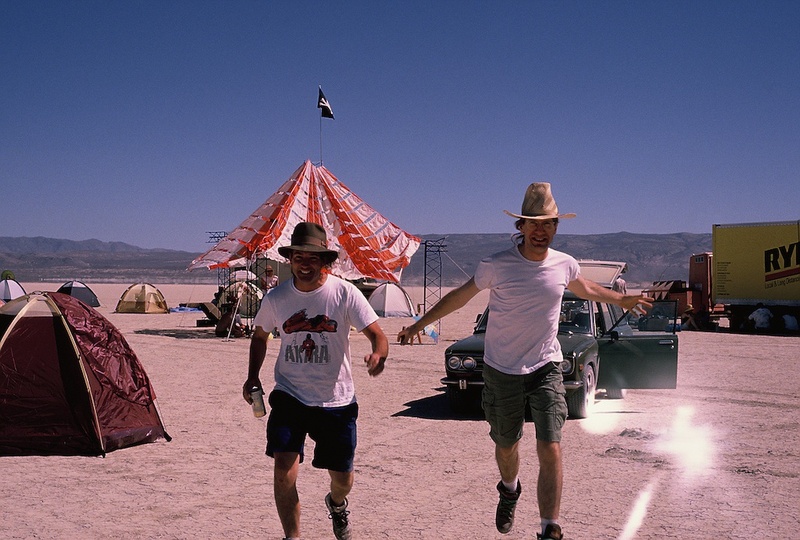 Along with Michael Mikel (Danger Ranger), another active Cacophonist and with long experience in the desert, Burning Man was effectively born as a fellowship with organization by Law and Mikel, based on Evans' idea, and with Larry and Jerry's symbolic Man. The notice for Zone Trip #4 - Bad Day at Black Rock. 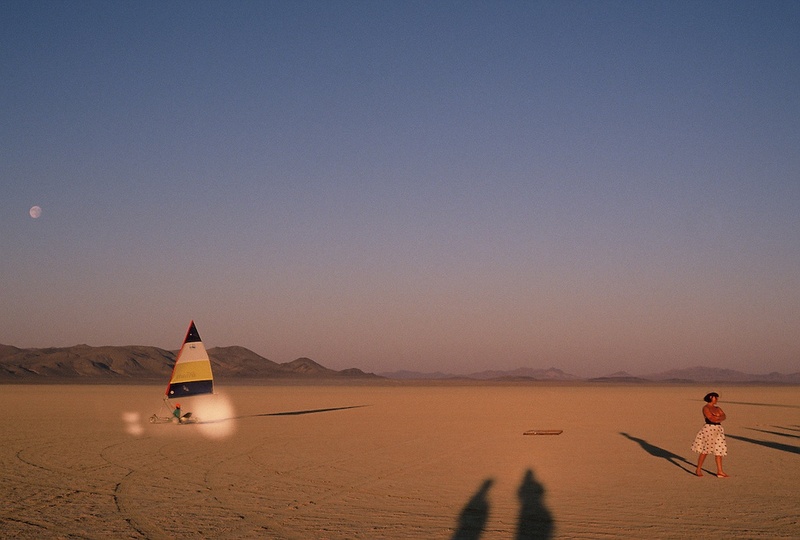 Arrival on the playa. Photo by Danger Ranger. John Law. Photo by Danger Ranger. 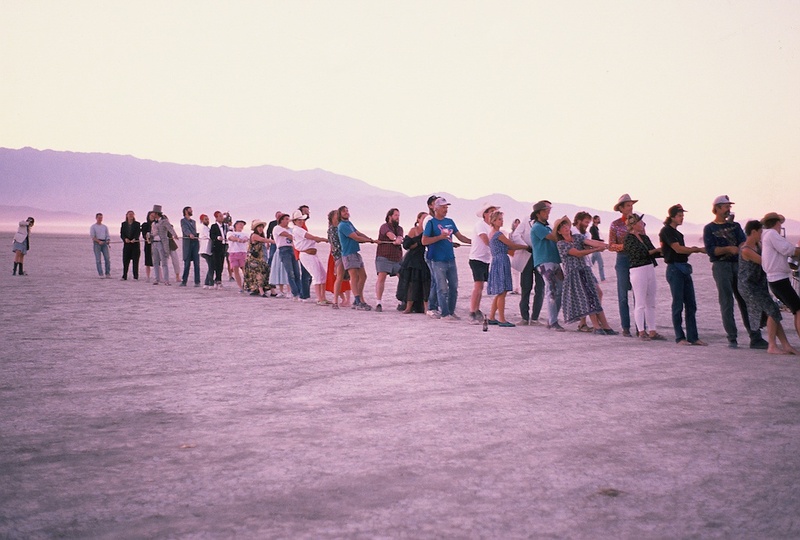 Click here to go to the next era of Burning Man: 1991-1996.